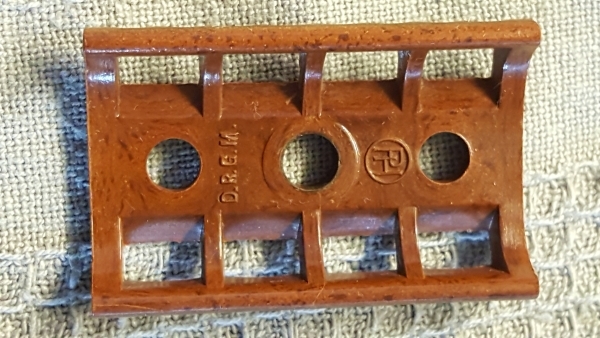 Manufacturer is propably Hugo Pash Sonnal Werk (initials PH under razor head). 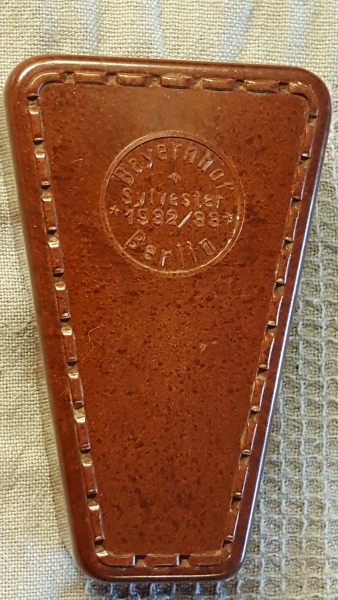 On the box there are text: "Bayernof Berlin" and "Sylvester 1932/33". Bayernhof (formerly Alt Bayern) was a restaurant and entertainment venue in Berlin (www.potsdamer-platz.org/bayernhof.htm). Sylvester 1932/33 propably means New Years Eve 1932/33. 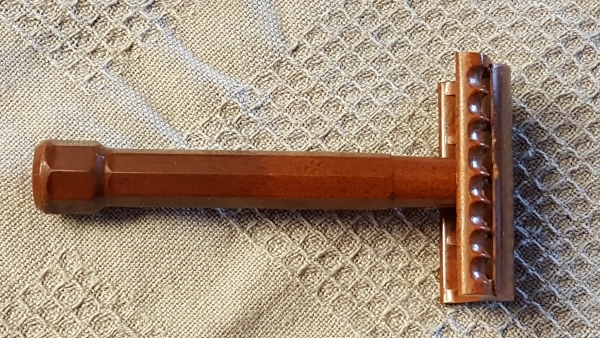 I would certainly know more about the story behind this beautiful razor. Was is exclusevily made for Bayernhof guests or personnel? If anybody has any information, I would be happy reading it. You may certainly also write in German, or contact me personally. may I bid you welcome in of this runden! Oh, having a close look at your pictures, i can't help to say: that's really a teaser! Indeed, it is a very beautiful piece. This link to the 'Bayernhof' ist very interesting, as well. Learning is a process that never ends. I sincerely hope, somebody will be able to bring light into the darkness. Diese Nachricht wurde am 05.07.2017 um 17:20 Uhr von CaptnAhab editiert. I think the razor was a gift for the guests of the party sylvester 32/33. Diese Nachricht wurde am 06.07.2017 um 00:02 Uhr von Newline editiert. The safety razor is an old Sonnal-razor, made by Hugo Pasch, Solingen in Germany. 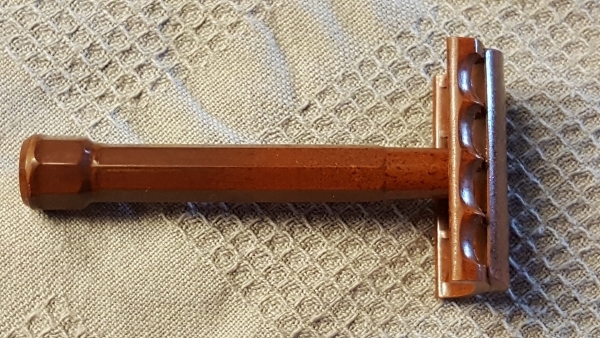 It is a bakelite one. Producing period last 30th of the last Century. Diese Nachricht wurde am 06.11.2017 um 00:04 Uhr von Standlinie editiert. Hugo Pasch hatte eine Fabrik in Solingen. Pasch Hugo Solingen-Ohligs Düsseldorferstrasse 104 in 1925. Pasch G.m.b.H., Hugo Solingen (Rhld*), Saarstr. 14-20. Pasch Hugo Solingen in 1925 and 1932 Saarstrasse 14-20 in 1939. Pasch Hugo Solingen Baumstrasse 36-38 in 1983. Pasch Hugo Solingen, Kanalstr. 1. 15/11-1932.